Choosing a VPN for gaming can be tricky because there are hundreds to choose from. That is why our experts have spent time testing VPNs to see if they are suitable. When opting for a gaming VPN, it is vital for the VPN to have ultra-fast servers and other important features. This is because gaming is extremely data intensive. In this article, you’ll find expertly chosen fast VPN services that work well to unblock the top game titles. The most important features of a gaming VPN are speed and server locations. However, privacy is also important because some famous game distributors - such as Steam - will block accounts if users are discovered to be geo-spoofing to a different country. 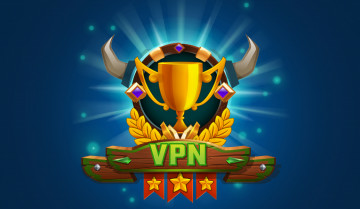 When selecting the best 5 gaming VPN services, we considered how the gaming VPNs performaned on desktop computers (across various operating systems) and how easily VPN connections can be shared with today’s most popular consoles. Remember: if you are new to VPNs all our recommendations provide a money back guarantee, which means you can test them all to see which you prefer. To help you select between the top 5 gaming VPNs, our experts have informationed their differences below. These are the best of the best, which means they do have many similarities. However, they do differ slightly so it is well worth taking your time to select a gaming VPN that is perfect for you. ﻿NordVPN is a service from Panama that recently won Best Overall VPN. 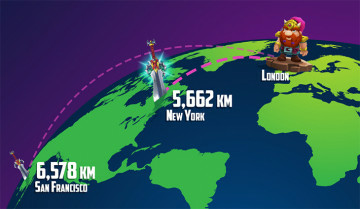 It is a fantastic gaming VPN because it has super-fast servers located in 60 countries all over the world for buying cheaper games and it is perfectly set up to connect to gaming servers outside of your home country. NordVPN has software for all platforms, and it is compatible with VPN routers. OpenVPN encryption is implemented extremely secure, so this VPN that is fantastic for privacy, and will protect your console or PC against DDoS attacks. Customer care is also superb with this reasonably priced VPN. You can test this VPN for a month thanks to its 30-day money back guarantee. CyberGhost is a VPN provider based in Romania. It is a secure VPN with a choice of encryption protocols to keep your gaming devices secure. This VPN because is extremely easy to use and has excellent apps for all popular platforms. If you are a console gamer, you can install CyberGhost on a router (or buy a pre-flashed router). CyberGhost VPN has servers in over 60 countries - which means you can use it to play a large choice of gaming servers around the world and get cheap games. CyberGhost lets people use the software on 7 simultaneous devices and its money back guarantee lasts for 45 days! ExpressVPN is an excellent VPN for gaming because it has servers in 94 countries. Encryption is provided via robust OpenVPN encryption and users can select between TCP and UDP (UDP is better for gaming). It's fast enough for competitive gaming as well as streaming (it also unblocks US Netflix). IPVanish is one of the fastest VPNs on the market, so perfect for competitive gamers. This makes it especially good for playing foreign gaming servers. It has servers in over 60 countries, which means you can use it to buy games cheaply. The VPN software is available for all platforms, and it has router compatibility. IPVanish provides a choice of encryption (including OpenVPN). Customer care is good with this VPN and it even has live chat support for around 18 hours per day. Being US-based isn’t the best for privacy but this VPN is excellent for gaming. We recommend testing it out for a week with its 7-day money back guarantee. This Swedish VPN is a fantastic bargain VPN with high levels of privacy. It's known for its secure apps with a choice of encryption. Although it is not as fast as other VPNs on the market, it is fast enough for streaming. Servers are located in over 50 countries and you can use this VPN to play foreign game servers or to buy games cheaper. Despite its low cost this VPN will unlock Netflix US. Unlimited access to game servers. By pretending to be in a different country you can play geo-restricted servers located in foreign countries. Avoid ISP throttling. Many ISPs throttle internet connection speeds when people do data intensive tasks like gaming. This is to stop congestion. A VPN stops your ISP tracking what you are doing which means they don’t throttle you. DDoS attacks bombard your IP address with requests; disabling your ability to play games. A VPN lets you conceal your real IP address to stop you getting attacked during a match or tournament. Purchase game titles early by geo-spoofing to a different country. Buy games for budget prices by pretending to be in a country where they cost less. Play in foreign gaming tournaments and competitions by pretending to live somewhere else. Play game servers in a different country in order to connect with players that speak your language. Can I save money with a gaming VPN? Economies differ all over the world, meaning that people have vastly different amounts of spending power. Game developers know they can charge much higher rates in some countries than in others. In addition, local sales taxes and currency rates may affect the cost of a game. With a VPN for gaming, you can save money on AAA releases. You can also save money on games by checking out the following online game retailers: Green Man Gaming, GamersGate, One Play, Good Old Games (GOG), or DirecDrive - are all worth checking out. Plus, in 2019 it has become more common for game developers like Taleworlds, Mojang, and Cloud Imperium to sell games directly from their websites. so always shop around, and always test a few countries by using your gaming VPN. The list below provides some examples of the differing prices that games can be purchased at. You can use a VPN to buy games cheaper from Steam, PS4, Xbox One, Nintendo Switch, and many more. As you can see it is possible to save up to $57 on some titles. That makes a VPN an absolute bargain that could save you hundreds of dollars on games! If you want to compare game prices for various PS4 stores around the globe - click here! To compare Xbox stores from around the world check this website. Buying games for less is extremely easy using a VPN! Simply connect to a VPN server in a foreign country. If a valid local payment method is required, you can get one by following our guide about virtual online card services. Can a fast gaming VPN increase connection speed? Unfortunately, all VPNs will slow down your connection speed a bit. Encrypting your data and sending it via a VPN server (to allow you to pretend to be elsewhere) is bound to cost you a tiny bit of speed. Some VPN services slow down internet connection speed by anything between 50% and 90%. That is not going to cut it when it comes to gaming. That is why we have worked hard to find VPNs with high-speed servers so your connection will not be slowed down. On the other hand, if your ISP is actively throttling your connection when you game: a VPN could actually speed up your connection speeds. Thus, it is worth testing a VPN to see if it can increase your connection speeds. Will a VPN for gaming reduce ping? Connecting to a VPN server closer to the gaming server may reduce your ping - so it is worth trying it out. However, generally, a VPN will not reduce your ping much (if at all). Unless your ISP is throttling your internet connection a VPN is likely to slightly reduce your connection speeds. For gaming, you will require internet speeds of at least 10 Mbps. Always check your internet connection speeds without a VPN to figure out whether a VPN is going to work well. The higher your benchmark speed is without a VPN - the more confident you can be about using a VPN. To understand more about how VPNs affect connection speeds please visit our fastest VPN article. Also, remember that our recommended gaming VPNs all have money-back guarantees. So if you are unsure whether your ISP is throttling you when you game, simply trial a VPN to see if it improves your ping rates and connection speeds. In this section, we will look at a few helpful tips that may help to reduce your ping when using a VPN. Always connect to a VPN server that is as close as possible. If you need a server in the US to consider whether an East or West coast server is closer to your home country. Every second counts, so always choose a server that is as close as possible to you. Top tip: always test a few servers as some may be faster than others. Servers can slow down if they are oversubscribed due to congestion. If a VPN server seems a bit slow just check another that is also close by. Connect your console to the internet via a desktop computer or laptop that is running the VPN. You can achieve this by connecting an ethernet cable from your console to the PC. Install a VPN on your router (or buy a flashed router) so that every device in your home (including your games consoles) are automatically connected to the VPN server of your choice. A VPN router is always the best solution for consumers playing games on consoles like PS4, Xbox, or Nintendo Switch. A VPN router also stops you from having to run a gaming VPN on your PC. This can reduce some strain on your CPU - which will leave more power for rendering graphics. How else can I speed up my VPN connection? The best option is to subscribe to a fast VPN in the first place. However, one useful tip is to test servers not only in the country where you want to use a server but also in countries between you and that server (if those countries are permitted to connect to the server). Doing so could help to reduce ping by routing your internet differently to the final location. A little trial and error is definitely recommended. The following section has been created by collecting frequently asked questions from our own site as well as services like Quora and Reddit. If you have any other questions - or are still confused about something - please contact us directly for more help. VPNs provide digital privacy using strong encryption. VPN encryption stops ISPs, governments and local network administrators from tracking what you do online. A VPN also conceals your IP address from the websites you visit and lets you unblock content from all over the world - not just game servers - anything! Can you get a free VPN for gaming? Reliable free VPN services are incredibly limited because they are only there as a demo service designed to encourage people to buy a premium account. The kinds of speeds and data allowance that you need for gaming will mean that you need to pay for a service. However, feel free to click on the link above to try a free VPN (to see what VPNs are like). A VPN router has a VPN installed directly onto it. This means every device on your network is automatically protected by the VPN. 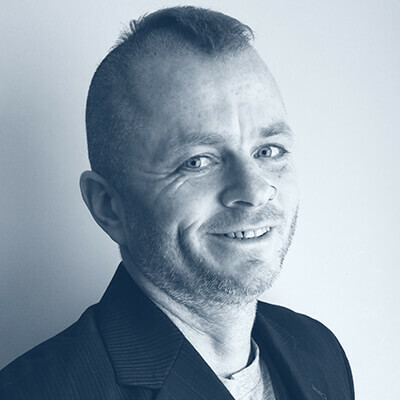 This is excellent for connecting devices like games consoles to a VPN server (and any other device that you can’t directly install a VPN on). How to configure a router for gaming? This is different to a VPN router. It is the process of altering the quality of service (QoS) router settings to improve your gaming experience. It works by assigning higher priority to gaming and video streaming traffic. What is a dynamic DNS service? Dynamic DNS service (DDNS) allow you to access your home network/computer from anywhere in the world. To use DDNS you will need to sign up to a DDNS provider. However, some VPNs provide a similar service called port forwarding. If you want to compare the best VPNs for gaming to the fastest VPNs please follow this link. Ping is the amount of time it takes for data to be sent from your computer (or console) to the gaming server. Gaming lag is caused by slow ping rates. Anything below a ping of 20ms is considered fantastic. Anything over 150ms is likely to result in lag. You can check your ping by using a speed test website. How do I change my IP address on PS4? To change your IP address on a PS4 you need a VPN service. For more information on using a PS4 VPN please check out our guide. How do I change my IP address on Xbox One? To change your IP address on an Xbox One you will need a good VPN for gaming. For more information, please check out our guide for using a VPN for Xbox. Do I need a Crossover cable? If your VPN is installed on a PC - but you do your gaming on a console - you will need to share your PC’s internet connection with your console. To do this, you will need to connect the console to the PC and connect to the internet. This is best achieved with an ethernet crossover cable. How many Mbps do I need for gaming with a VPN? To game with a VPN you will need speeds in excess of 10 Mbps. Anything below that will likely produce a lot of lag. Although Apex Legends is free, you can make good savings on extension packs by spoofing your location. Some people also manage to use a VPN for Apex Legends to reduce their Ping. Always connect to a VPN server close to the gaming server you want to play to see if it can reduce your Ping. Our top VPN recommendations for gaming can be compared to our 5 Fastest VPNs to find the fastest VPN for Apex Legends. Hi, Random questions... Can we trust Ea Origin and Uplay clients? Or are they really creepy and will spy and install rootkit/s, etc.? Hi Jake, That is a good question! I know that the Origin client caused some privacy-related anger a few years back, but haven't heard anything else. I think this is a valid concern, however. From this list i used to test ExpressVPN and NordVPN. NordVPN makes gaming completely impossible (high ping). ExpressVPN is pretty good, but there is no. 1 in my opinion: VyprVPN. They're best gaming VPN in my opinion. You guys ever going to test good VPN's? I use ExpressVPN and they kill half my bandwidth. I now am currently using Astrill and there VPN doesn't kill my bandwidth. Can you guys do a review on them? Hi WhoKnows, Please check out our Astrill Review.